I swear, I don’t know where the last 30 days went. Everyone got sick, then as soon as everyone got better it was just balls to the wall non-stop insanity for an entire month. I filmed this a few weeks ago (I still can barely talk about it, because, nerves). Which then aired on The Marilyn Denis show yesterday (June 29, 2015). Like, OMG one of my recipes was actually on TV. Watch the episode here. It’s their Great Canadian Cookoff for Canada Day tomorrow. I’m a “blink and you’ll miss me” one minute segment about 20ish minutes in. Then, my nephew turned one!!! With this ridiculously awesome cake! I got to do a whole bunch of cooking for him, like this pulled pork, all chronicled on my instagram, because I’m a photo whore like that. The cousins comparing outfits. Logan was still in lounge mode before his big shindig kicked off. Because my cousin is awesome, she made sure to keep the food tables equally stocked with healthy deliciousness (berries), and just plain delicious deliciousness (doughnuts). My nephew knows how to do things right. This was about 5 minutes into his cake coma. This kid is the best! And there were beautiful flowers. My oldest daughter decided to turn into a soccer star – last game she scored 5 goals and got 1 assist. It’s ridiculous. 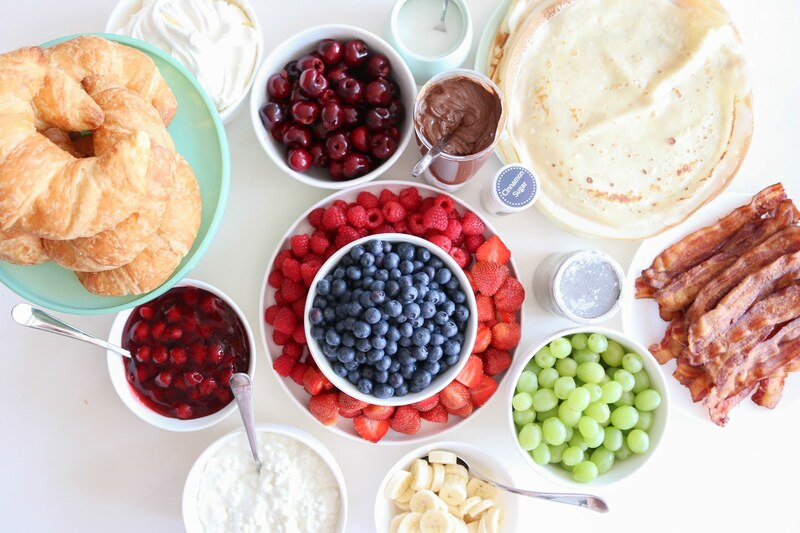 We made one of the most epic Father’s Day crepe brunches ever. And Anna did this – I don’t know what “this” is. We took the kids to the Amusement Park. 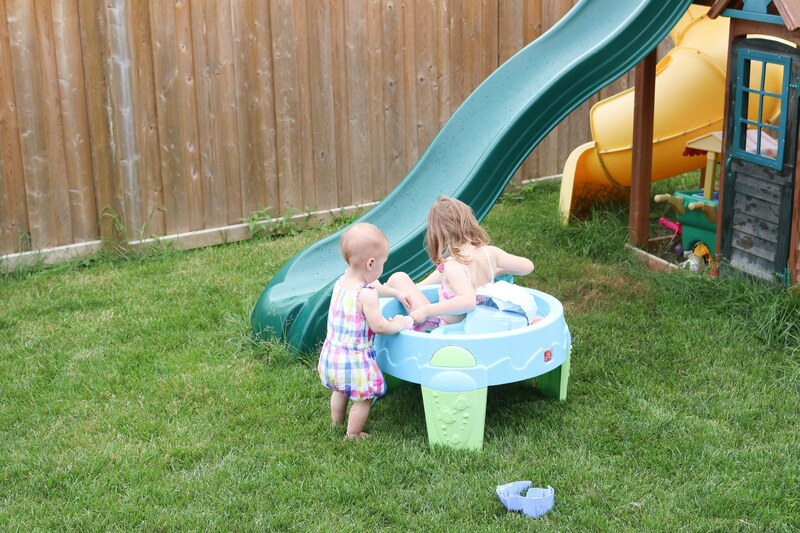 Anna decided that a water table was a perfectly acceptable substitution for a pool (it’s not). And Oliver “the toothless wonder” graduated Kindergarten! The day after school ended, we packed up and took the kids to Great Wolf Lodge to celebrate their upcoming birthdays. There was a lot of bowling done – and I won (but just barely). Yesterday we took the kids to The Discovery Center, where they had a blast. Anna charged this nice lady “50 Bucks” for a carton of eggs and one strawberry. She’s a hustler. Oliver oversaw all excavation activity. And Sophie continued to act like she was 5. And then – there were more headshots taken for something coming up in August. So, this last month – a complete blur. I’m back to cooking for the blog this week (save Friday when we’re heading to the zoo), with new posts starting up again next week. Wow! What a lot of things to happen all in one short time! Very cool about your TV appearance. I got on a radio show a couple of weeks ago, but I've never done TV. Your kids are so cute! Katie, radio is AWESOME!!! The TV thing happened because of my cousin, who nagged me enough to send in a recipe that I finally did. It wasn't a blog-focused segment, just a mention on their website afterwards. Still just insane to me that anything I came up with made it onto tv. The highlight for me is that I LOVE the chef that was cooking his macaroni salad while they aired mine, and he off-hand mentioned me, lol. And thank you about the kids - they are definite scene stealers!